Greetings! Weeks 4 & 5 showed a little bit of slowdown from the phenomenal fishing we had during the first three weeks of the year, but for most groups it remained very good. One thing that has been a constant since the day camp opened, has been how many of my guests have commented on the great size of the walleyes they are catching this year. 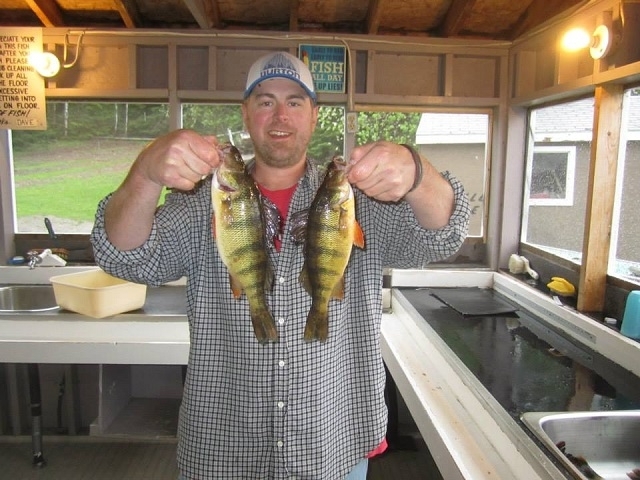 More fish over 18″ than ever before and many, many fish in the 20-24″ range. Carolin and Jake Trapp both released 26″ fish here on Wabby and Carolin had at least two others over 22″. 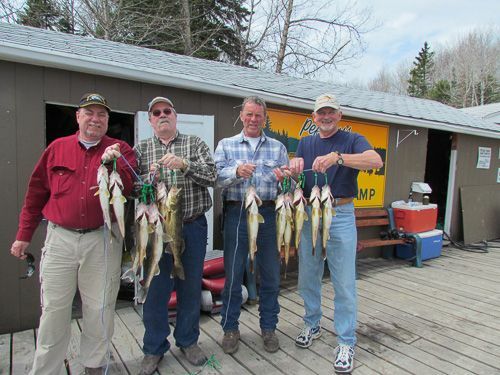 Some other notable releases (of the ones turned in to me): Jerry Biernat- 37″ northern, 24, 22, 21″ walleye, Don Goodin 22, 21″ walleye, Tom Jonet 21″ walleye, Jeff S.- 23″ walleye, Mike Z- 23, 21″ walleye, Mark F- 24″ walleye, Ron G- 25, 21″ walleye, Craig F.- 22″ walleye, Ron B.- 24, 23 1/2, 22, 20 1/2, 20, 19 1/2×2, 19×3, 18 1/2 and 18″ walleye, Steve K- 33″ northern, 19″ walleye, Scott P- 20 1/2, 21, 19″ walleye, Jim C- 26, 23″ walleye, Andy W-22″ walleye, Bill W- 23″ walleye, 37″ northern, Cody W- 22 1/2″ walleye, Harry M-21 1/4″ walleye. All in all, a very good two week period. 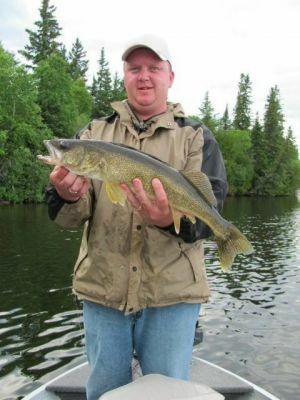 Walleyes were mostly found in 10-16 feet of water, Jigs and minnows/jigs and crawlers, and crawler harnesses all produced fish. Emerging weeds in the heat of the day remained a good pattern and main lake rock piles really started to heat up during the period. Our weather continued to be HOT and dry. Despite the heat, bluebird skies and little to NO wind some days, the fishing has held up very good. Most main lake water temps ranged from 75-80 degrees. Yes, even a few areas of the MAIN lake have hit or approached 80 degree surface water temps. The swimming has been delightful too! Looking forward to the start of week 6. The weather has cooled down for a couple of days, before the heat returns and we got some VERY badly needed rain yesterday. Until next time, take care and see ya on the water.